Unbeatable value for money accommodation in the heart of Athens. 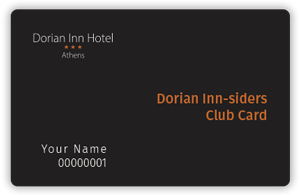 If you are looking for an affordable hotel at the centre of Athens, Dorian Inn is the perfect match for you. Quality services, modern amenities, a top floor swimming pool and a bar restaurant with great Acropolis views await you. You can choose from six different accommodation choices to suit your budget and style. We value your loyalty and we like you to book direct with us. Become a Dorian Inn-sider and you will immediately have exclusive benefits! Located 210 meters away from Omonia Underground Station. With a friendly and relaxed atmosphere and a breathtaking view of the Acropolis! Our hotel is a proud member of the “Greek Breakfast” network of hotels, certified by the Hellenic Chamber of Hotels.